Thematically, I remain completely engaged in the exploration of the marine as a landscape form. I prefer to call the images I create marines because in practice the term often covers art showing as much shipping on rivers, beach scenes and all art showing boats, without any rigid distinction. Throughout her career, Jodoin has turned her attention to subjects as various as: sea, land, and cityscapes, peopled beach scenes, harbours, boats, and birds, as well as florals and primates, all the while striking a delicate balance between abstraction and figuration. Regardless of subject, it is her deft, gestural handling of paint on linen which transports us to another time or place where we can almost feel and smell the salty sea spray. 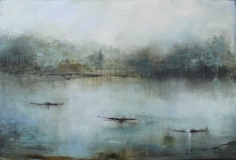 Organic and evocative, timeless and dreamlike, France Jodoin’s paintings are like windows into the subconscious. That of the artist as well as that of the observer, for the muted palette, evocative of sky and water, leaves the spectator free to imagine his own scenario. Which is, in fact, the artist’s intent. 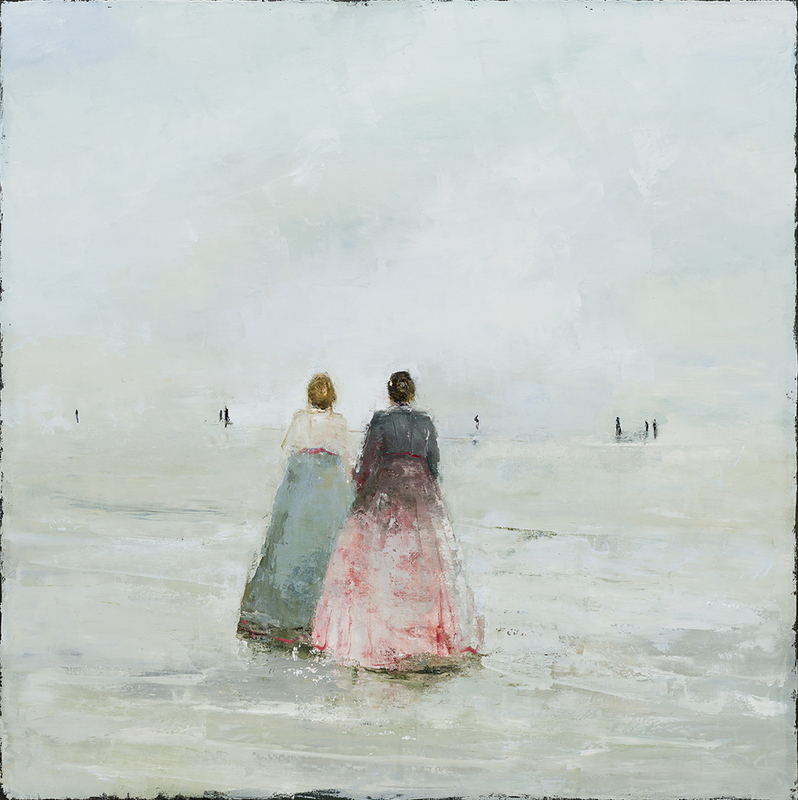 France Jodoin has been exhibiting in galleries and museums in Canada, the United States and Europe for the past fifteen years. She is known and celebrated for her ability to bring a contemporary understanding of materials to a twentieth century exploration of space, often calling to mind Tuner’s churning, emotive skies and Courbet’s impasto landscapes. She lives and works in Cowansville, Quebec, Canada. 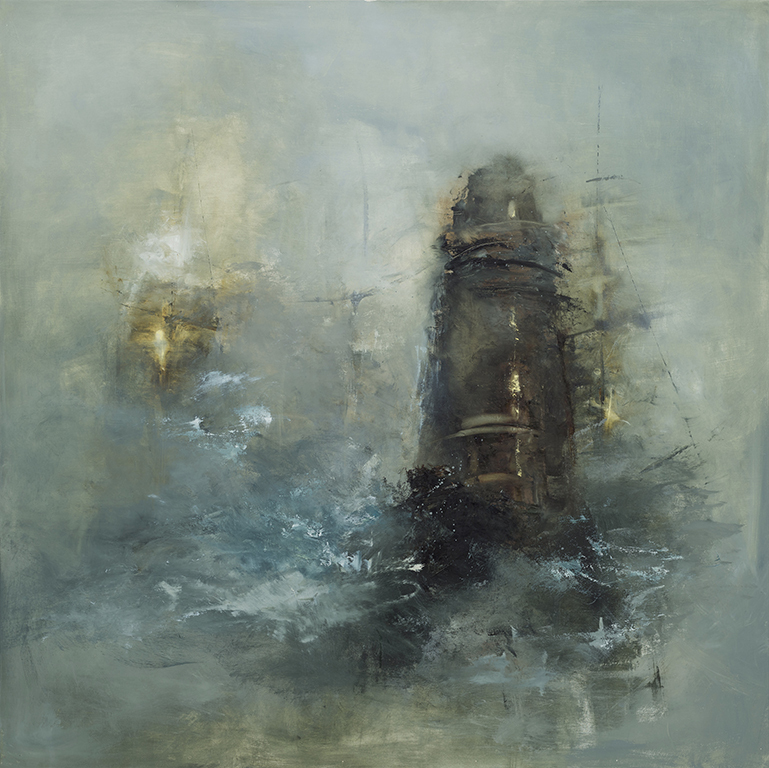 France Jodoin is primarily an oil painter who also sketches, works with watercolours and creates prints in sugar lift and aquatint. While her subjects include seascapes and landscapes, peopled beach scenes, harbours, boats both moored and on the water, as well as flowers, birds, apes, monkeys and gorillas, her deft, gestural handling of paint renders these with a distinct and contemporary sense of presence. Her declared interest is “the very brevity of life itself,” and to that could be added an abiding concern with Otherness. Other places, other times, other people, even other species, all are watched over with care and intimacy in her works. She achieves this timely presence of the Other by treating paint, this fluid medium, as an elemental force driving her narratives in which mere depiction defers to an atmospheric quality that invites the eye to linger and into which the viewer then becomes enmeshed, implicated. When her works delve into history, it is as a perspective with which this presence of the Other can best be awoken, and to create a mise-en-scène in such a way that the contemporary viewer may construct their own particular signs and stories from the layered marks, washes, wipes and drips on the canvas. 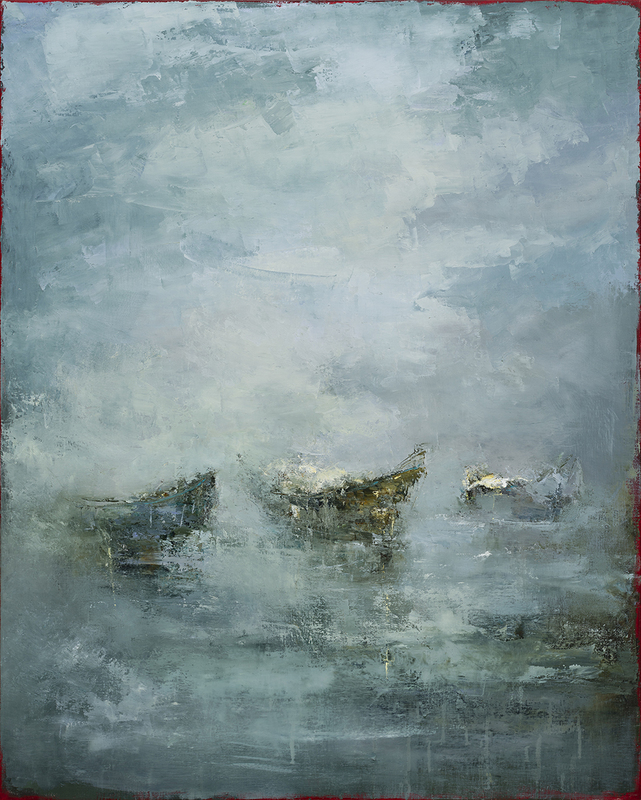 In her own words, “The fundamental impulse animating my creative process is to esteem time passing.” France Jodoin has been exhibiting in galleries and museums in Canada, the United States and Europe for the past fifteen years. She lives and works in Cowansville, Quebec, Canada. Claude Bouchard. Nature et énergie. Le Droit. April 28, 2007.